Elder M. Russell Ballard (1928- ) was called as a Seventy in 1976, and has served as a member of the Quorum of Twelve Apostles since 1985. "Please turn to Him if you are discouraged and struggling for direction in your life. Armed with the shield of faith, we can overcome many of our daily challenges and overpower our greatest weaknesses and fears, knowing that if we do our best to keep the commandments of God, come what may, we will be all right. "Of course that does not necessarily mean that we will be spared personal suffering and heartache. Righteousness has never precluded adversity. But faith in the Lord Jesus Christ—real faith, whole-souled and unshakable—is a power to be reckoned with in the universe. It can be a causative force through which miracles are wrought. Or it can be a source of inner strength through which we find peace, comfort, and the courage to cope. "As we put our faith and trust to work, hope is born. Hope grows out of faith and gives meaning and purpose to all that we do. It can even give us the peaceful assurance we need to live happily in a world that is ripe with iniquity, calamity, and injustice." 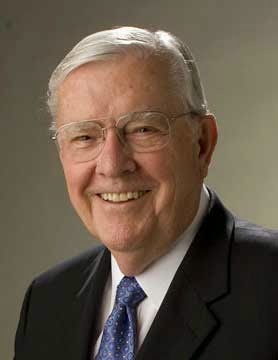 We are frequently reminded by Church leaders that faith in Jesus Christ enables us to "overcome many of our daily challenges and overpower our greatest weaknesses and fears." There are times in each of our lives when that help is so critical. 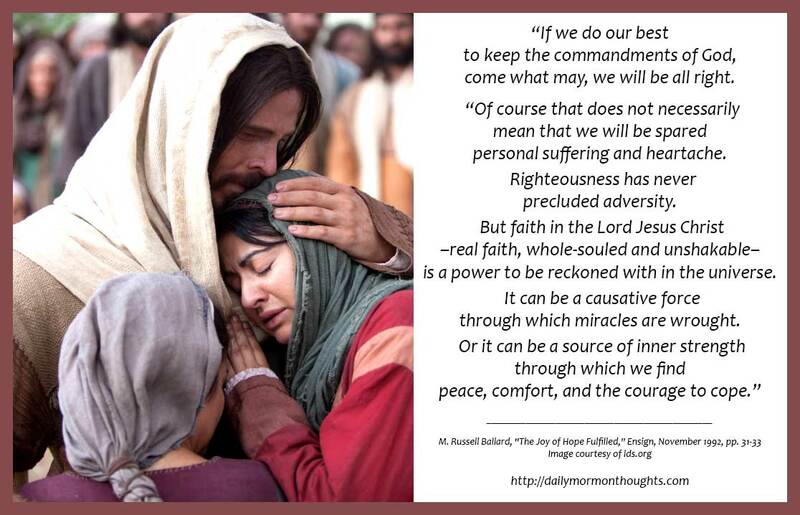 Elder Ballard again suggests the reality of life; there will be challenges—"righteousness has never precluded adversity"—but there is power in our faith to enable us to confront the challenges. The key, then, is to "put our faith and trust to work."